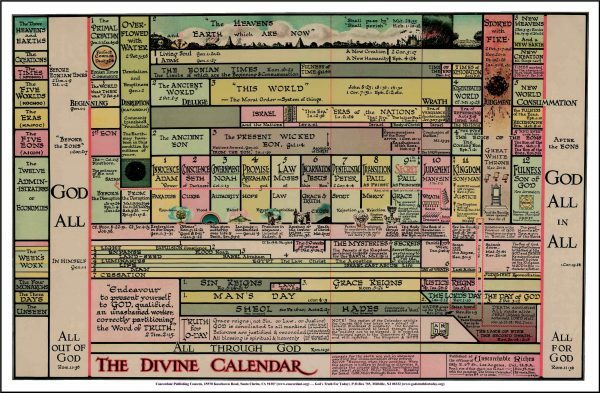 Large color poster of the Divine calendar. 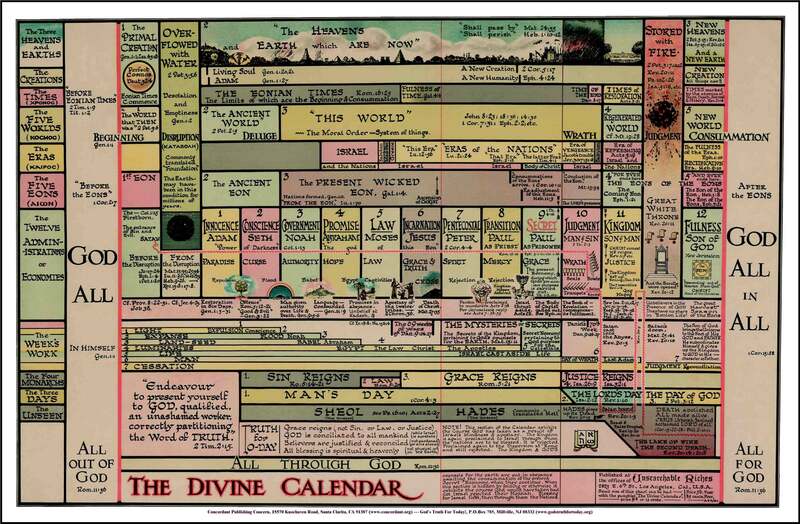 We have prepared a chart synchronizing the various Divine activities. Only the most striking and difficult passages of Scripture have been quoted or referred to, so that the chart might be merely suggestive, and in no way force its unyielding and angular outlines upon the flexuous form of the living word.